It's pretty much summer time and I don't know about you, but in the summer, I get the urge to travel. However, being a grown up comes with the fact that you can't just up and take off whenever you want, so I like to make due with one of my all time favorite types of stories: the road trip buddy comedy! Maybe its the inevitable hijinx, the run-ins with interesting characters, or the main character bonding and relationship growth - whatever it is, I'm a sucker for a road trip story. So as we enter this season of vacations, trips, and the need for easy reads, I present to you my favorite road trip buddy comedies of the last year or so. 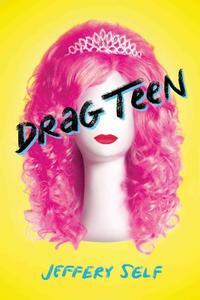 Jeffery Self has outdone himself with Drag Teen, for real you guys. In a cross between RuPaul's Drag Race and The Wizard of Oz, we have a high school senior, his (super hot) boyfriend, and of course, the girl best friend, on a road trip from Florida to New York to compete for the title of Miss Drag Teen USA. I don't want to spoil it for you but this novel is exuberance personified: the adversities overcome, the unbelievable characters met along the way, and the outfits—oh the outfits! In a slightly different road trip story, Jess and her best friend Christophe are on the way to her father's wedding to her mother's (former) best friend. Only, the last time Jess's father saw her he knew her as Jeremy. Jess is now out of high school, successfully beginning her transition, and maybe there is a romance forming with her best friend? 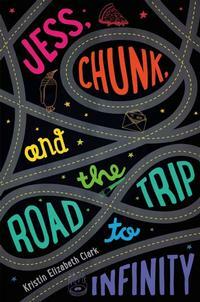 Jess, Chunk and the Road Trip to Infinity has all of the wacky characters present in Drag Teen but also a lot of family, a lot of heart, and a lot of... feelings. 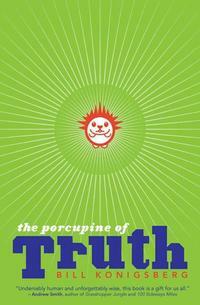 The Porcupine of Truth takes us from Montana to San Francisco via about a thousand unexpected places. Carson is on a mission to uncover family secrets, Aisha has been thrown out of her house because she's a lesbian, and both are desperate to get away. Not to put too fine a point on it but... grandfather... secret life... San Francisco... you see where I'm going with this? On the surface, this Stonewall Book Award winner is about a burgeoning friendship and a road trip; but author Bill Konigsberg is the master of the slow reveal, of self discovery, and of tying threads of stories together. If you are in the mood for a slightly longer story that takes its time to reach the pay off then I'm thinking this one is for you. 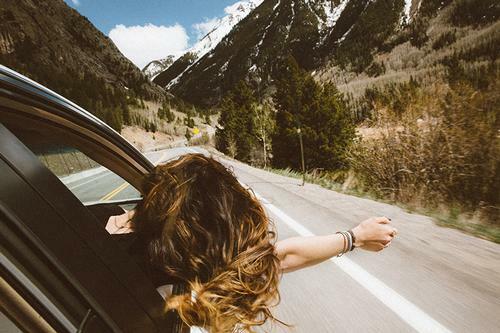 I know there are umpteen million other road trip stories out there, but what are some of your favorites? Let me know in the comments! Add a Comment to Great YA Road Trip Books for Pride Month!